Our team wishes you a great 2019 ! We wish you a very happy new year 2019 and we would like to thank all our clients for this great year 2018! This year was marked by an increasing number of theaters joining us and by our international expansion. 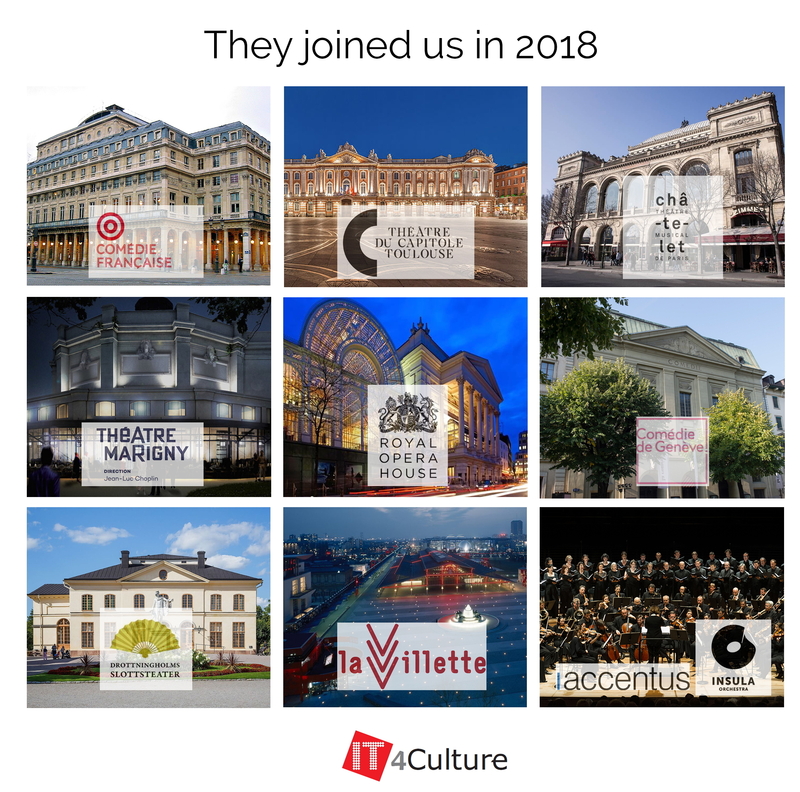 We are very proud of our 2018 new clients: the Royal Opera House (United Kingdom), the Comédie Française, the Théâtre Marigny, the Theatre du Capitole Toulouse, the Théâtre du Châtelet, La Villette, Insula orchestra, chorus accentus (France), the Comédie de Genève (Switzerland), the Drottningholms Slottsteater (Sweden).